Designed to fit better than conventional work gloves, Ironclad gloves come in a wide range of sizes and colors and are specialized to specific jobs. This allows you to work more comfortably and without the need for removing your gloves when more intricate work is required. Check out the Recently Listed Shop Gloves. In 1997, Ed Jaeger, Ironclad?s founder was asked to help on a home-build. There were plumbers, masonry workers, demo-guys, electricians and construction workers everywhere. He noticed that each person had very expensive task-specific tools that they needed in order to get the job done, but also realized that none of these workers were wearing gloves. Being curious, Ed asked the guys around the jobsite why they weren?t wearing gloves and all of their answers were similar. ?I can?t use the gloves that are available because they?re too bulky. Sure they protect my hands, but they are hot, I can?t feel my tools, they only come in one size and they basically get in the way of me doing my job.? This blew Jaeger away. 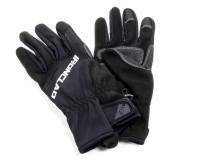 A hard working guy, Jaeger, who grew up riding motorcycles, and knew the industry, had task-specific gloves for dirt bikes, or road bikes and he learned to use these gloves when he worked. The gloves, constructed with materials like Kevlar? and ballistic nylon, had great fit and became an extension of your hand. While at the jobsite, Jaeger, realized that there was a huge disconnect between the worker and their most important tool ? their hands. They needed a glove that protected their hands and helped them get the job done. It was at this moment that Ironclad was born. His concept was to build a glove that offered protection and performance, but sacrificed neither. He also wanted to create a brand that real workers could be proud to wear; a brand that would stick with them through thick and thin; and a brand that was built solely for them. These people are the true heroes of real-life. Everything that we use in our daily life, many of which we take for granted, are built by unrecognized hard-working men and women ? the everyday heroes. Ironclad pioneered this new territory ? 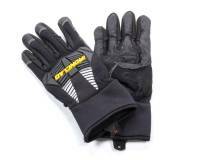 developing task-specific gloves that helped each worker get the job done more safely, efficiently and effectively. But just developing task-specific gloves wasn?t enough. Ironclad needed to bring new technologies, materials and innovations to these harsh working environments. As a result, Ironclad has developed and owns 74 Patents and Trademarks worldwide. These exclusive properties are a part of our expanding advanced glove technology which can be seen in virtually every glove Ironclad sells. Ironclad is about constant innovation in order to celebrate the real Everyday Heroes of the world. The Ironclad lineup includes the Ironclad Vibram Rigger Insulated, Ironclad Vibram Rigger Cut 5, Ironclad Vibram Rigger, Ironclad Vibram O.B.M. XOR Ironclad Vibram O.B.M. Cut 5, Ironclad Vibram O.B.M., Ironclad Vibram FR, Ironclad Rigger Insulated Waterproof, Ironclad Rigger Cut 5, Ironclad Rigger, Ironclad Monster Mud, Ironclad Low Profile Impact Open Cuff Cut 5, Ironclad Low Profile Impact Closed Cuff Cut 5, Ironclad Knit Cut 5 Grip, Ironclad Knit Cut 5, Ironclad High Abrasion Dexterity, Ironclad Cotton Corded, Ironclad Arctic Trigger Mitt and more.